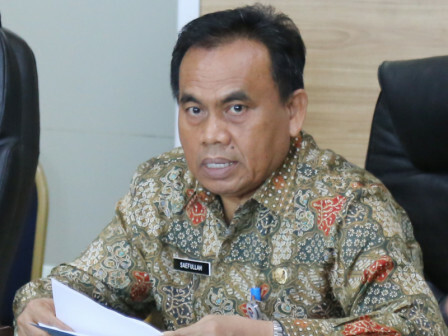 Jakarta Secretary, Saefullah asked SKPD and UKPD to keep monitoring One Kecamatan One Center for Entrepreneurship (OK OCE) programs.
" Currently it is already online and we have its application"
He reminded all SKPD, especially Jakarta Investment and One-Stop Integrated Services (PMPTSP) Dept. to assist any residents who want to start their business. "Permit administration for small micro business need to be more easier and facilitated such as in making Business Permit (SIUP), registration certificate (TDP)," he said while leading OK OCE program monitoring and evaluation (Monev) meeting at City Hall, Thursday (8/30). He explained, entrepreneurship program in its mission to create job opportunities and increase community welfare should be concerned by officials, including urban village and sub-district heads. "Currently it is already online and we have its application. We will help if there is any difficulty while online," he stated.